A monster season earned Akea/Ray Price Motorsports rider Tommy Grimes Jr. a second-consecutive NHRA Wally trophy in the Top Fuel Harley class. Grimes, of Winston-Salem, N.C., guided his roaring Top Fuel Harley to the winner’s circle five times in 2015 and clinched the title before the Las Vegas event. Grimes advanced to the second round in Las Vegas before losing to Javelina Harley-Davidson rider Ricky House, who went on to win the final. Grimes finished the season with 617 points. Len Darnell Jr. was second with 414 points, and Joseph Sternotti Jr. was third with 299 points. NHRA Harley-Davidson Drag Racing Series, highlighted by the Top Fuel and Pro Fuel classes, will return to tracks nation-wide in 2016. A schedule released by the NHRA includes 14 Harley-Davidson Drag Racing Series events. 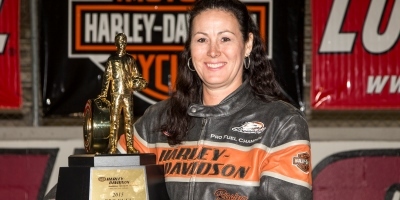 Competition in Top Fuel Harley will be featured at four NHRA Mello Yello Drag Racing Series events. 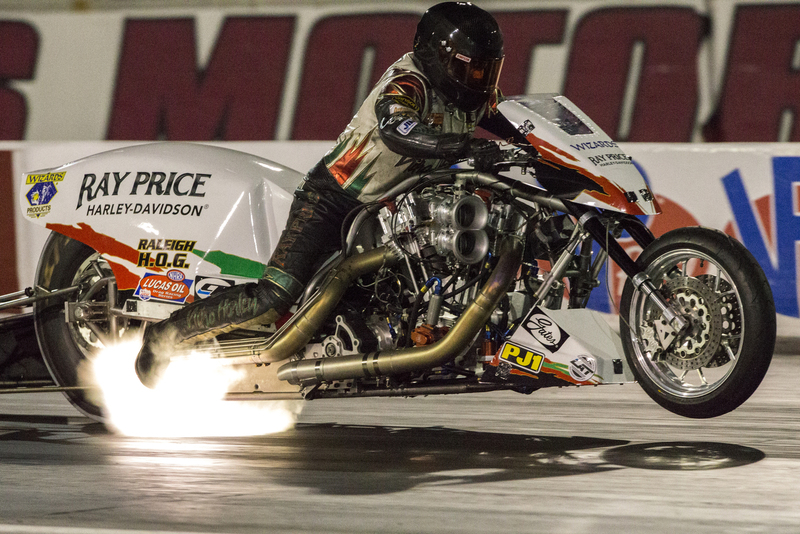 The two-wheeled rockets will race at three new tracks in the NHRA Lucas Oil Series: Royal Purple Raceway near Houston, Cecil County Dragway in Rising Sun, Maryland and Rockingham Dragway in North Carolina. The racers will vie for an exclusive NHRA Wally trophy awarded to winners in each category during winner’s circle activities. The season-ending champion in Top Fuel and Pro Fuel will receive a specially-designed Wally Trophy as well as a year-end bonus. The best seven of 10 races will count for points toward the year-end championship. 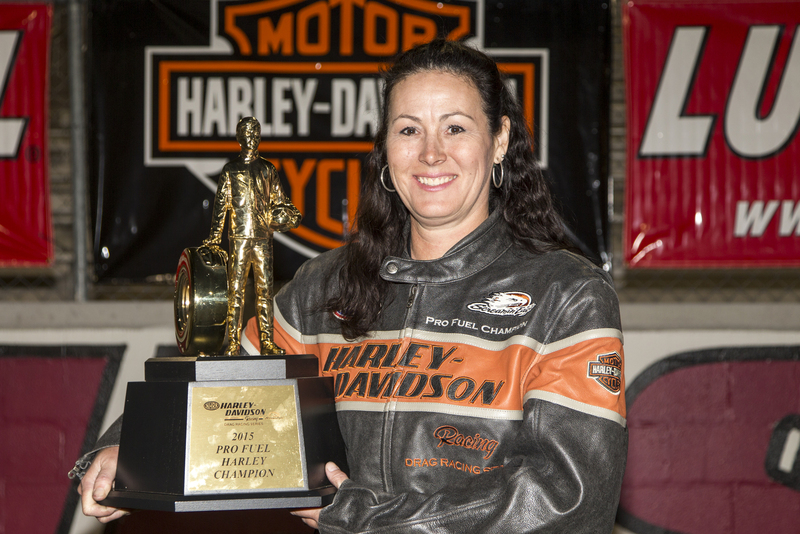 The complete 2016 Harley-Davidson Drag Racing Series schedule is available at NHRA.com.